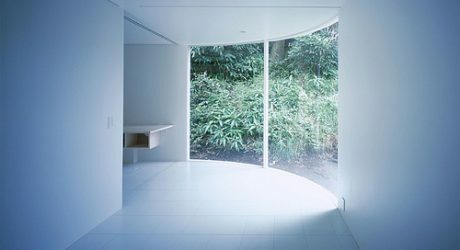 Color has a way of taking our spaces from just okay to something your friends might want to Instagram while they’re visiting. It affects our moods and overall can help us create a happy place to call home at the end of a long day. 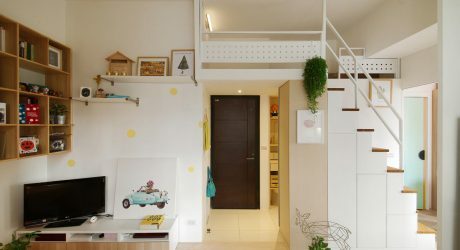 Looking for some inspiration, we rounded up 10 rooms where vibrant colors are added to elevate the space to a new, energetic level. 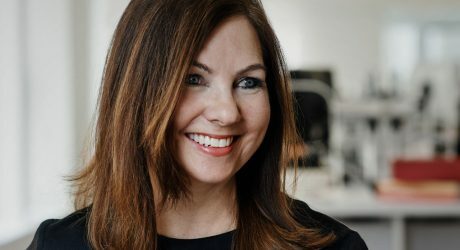 Fab.com co-founder Bradford Shellhammer owns an apartment in Chelsea that he’s just put up for sale. 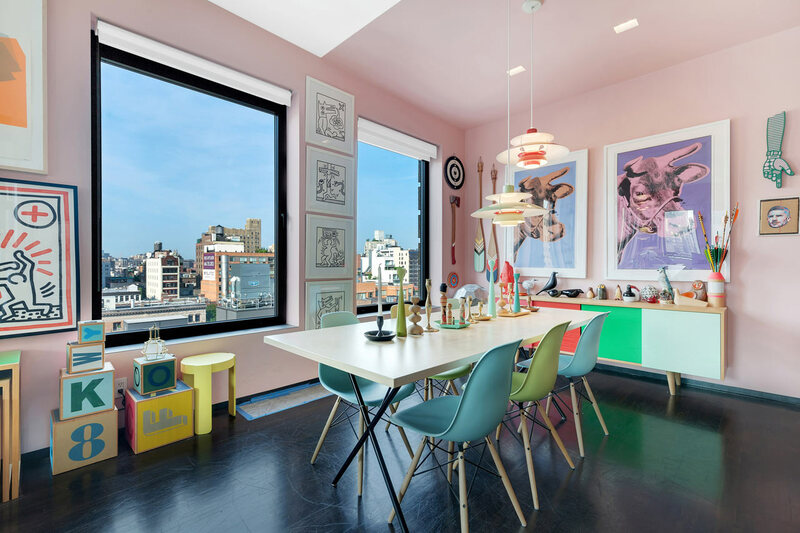 The walls are a ballerina pink and the floors are a dark stained wood, both of which are the perfect backdrop for the colorful array of furnishings and art, including works by Andy Warhol and Keith Haring. 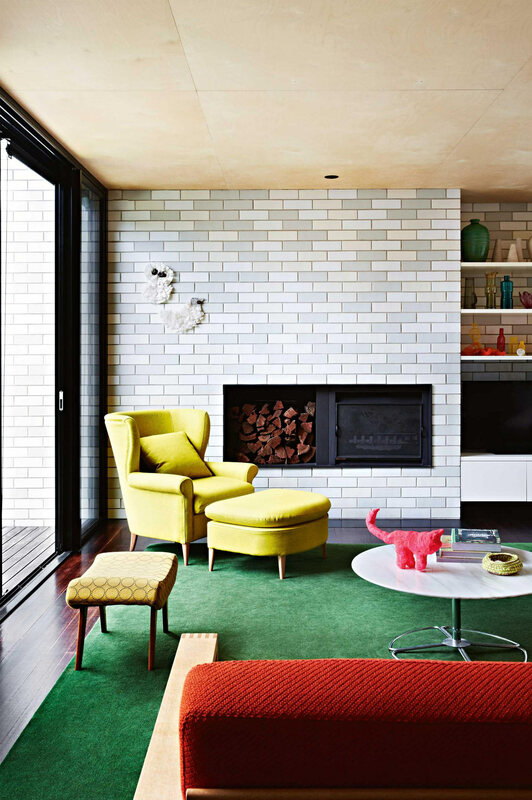 This living room in a California bungalow located in Melbourne was styled by Heather Nette King with a vibrant green rug, a citrus-inspired chair and ottoman, and rust red sofa cushions, all paired with neutral grey bricks around the fireplace. 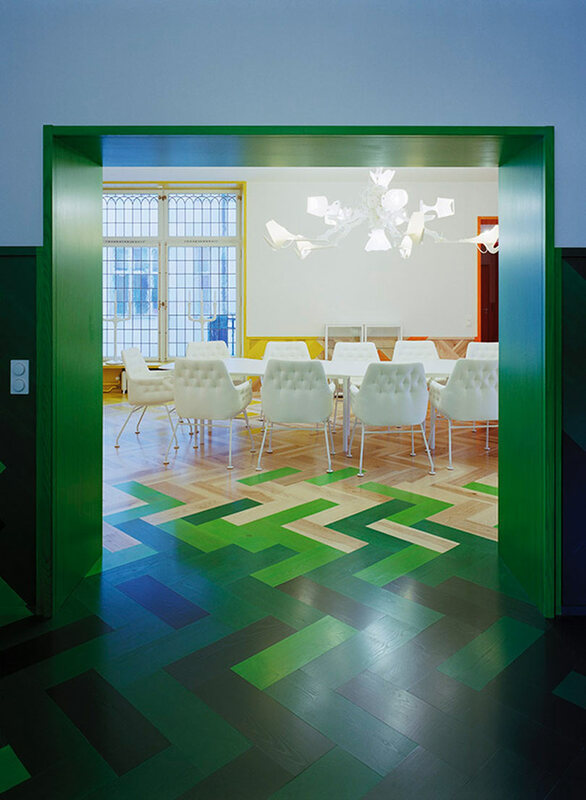 The Humlegården apartment renovation in Stockholm is a complete deviation from typical Swedish interiors with bright, colorful parquet floors setting the tone throughout. 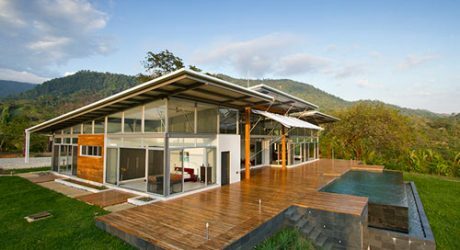 The dining room focuses on varying shades of green along with white furniture pieces. 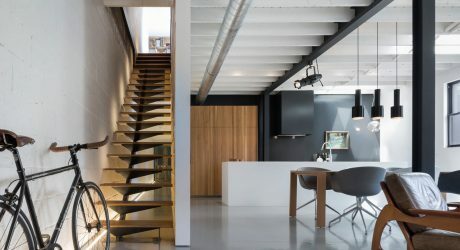 Designed by Tham & Videgård Hansson Arkitekter / Bolle Tham and Martin Videgård Hansson. 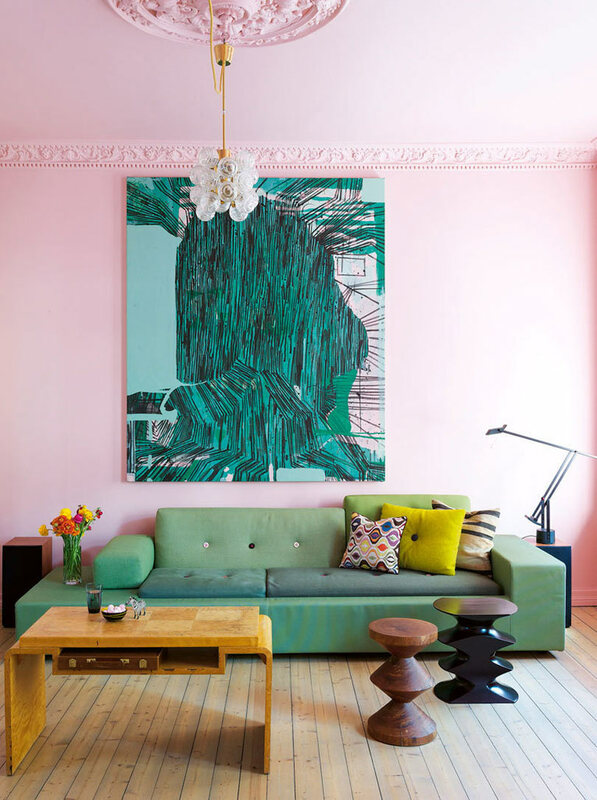 Designed by M. Brendemoe, this room has cotton candy pink walls, a two-tone green sofa with multicolored throw pillows, and a painting that ties it all together. Also from Bradford Shellhammer is his former weekend home which houses a kaleidoscope of colors that are bound to make you happy. 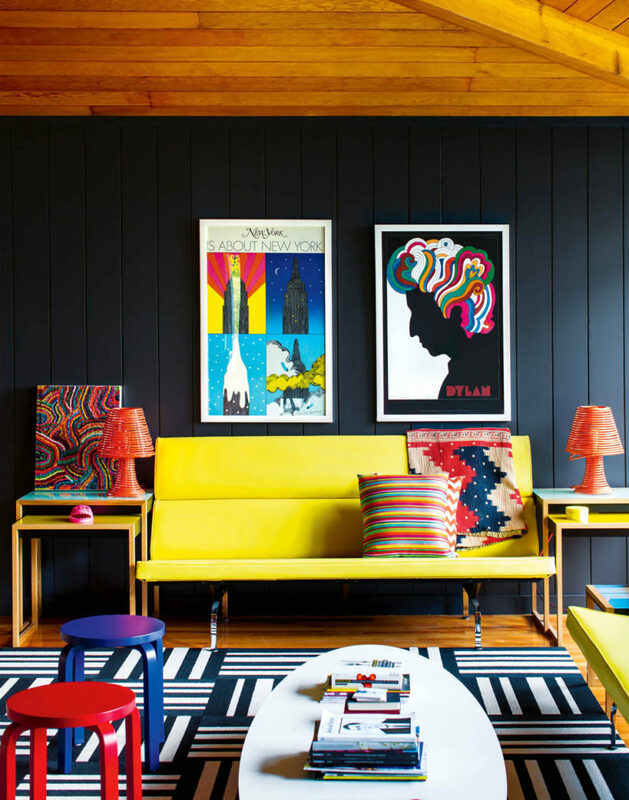 Matte black walls make the bright colors pop against it for a dramatic (and happy) look. 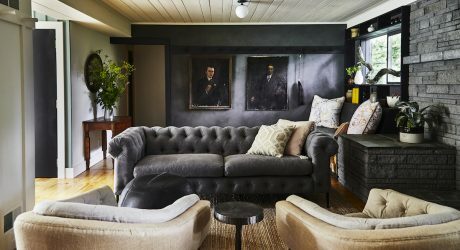 Stylist Emily Henderson created a stylish home with a series of fun colors that warm up this really modern space. 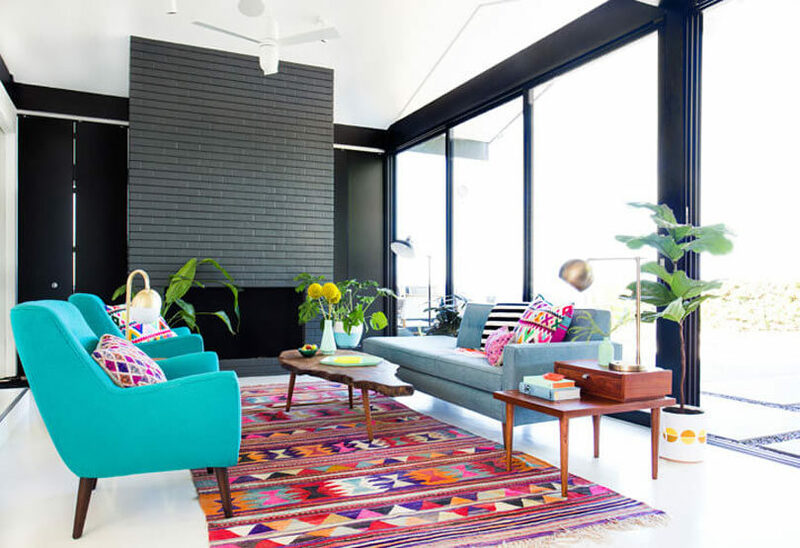 With white walls and floors, and a black brick fireplace and accents, the bright kilim rug makes a powerful statement, as do the teal chairs and blue sofa. 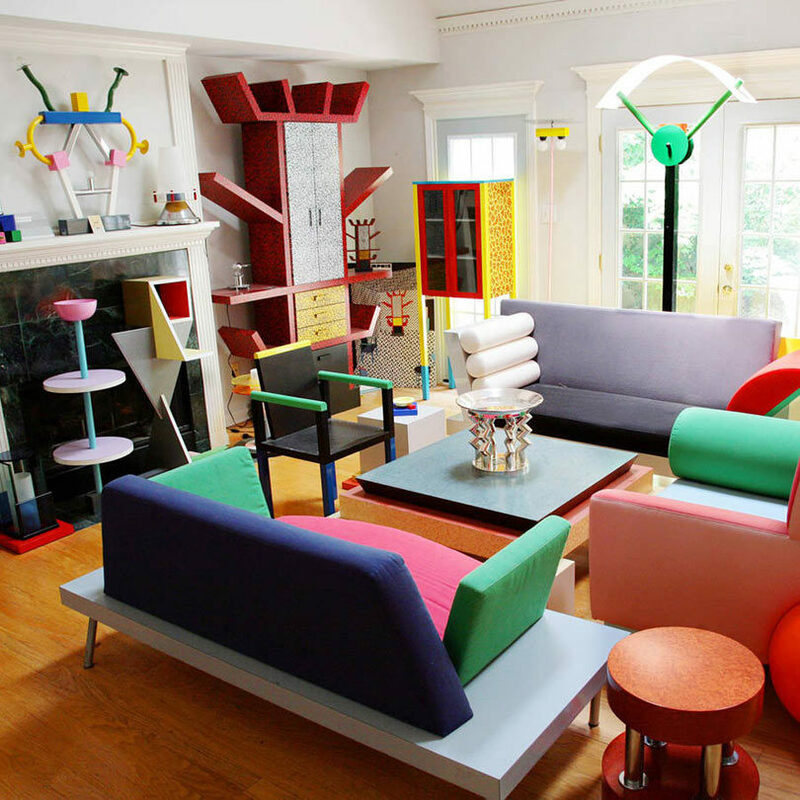 It’s impossible not to have an explosion of color when anything by Ettore Sottsass is in the room. 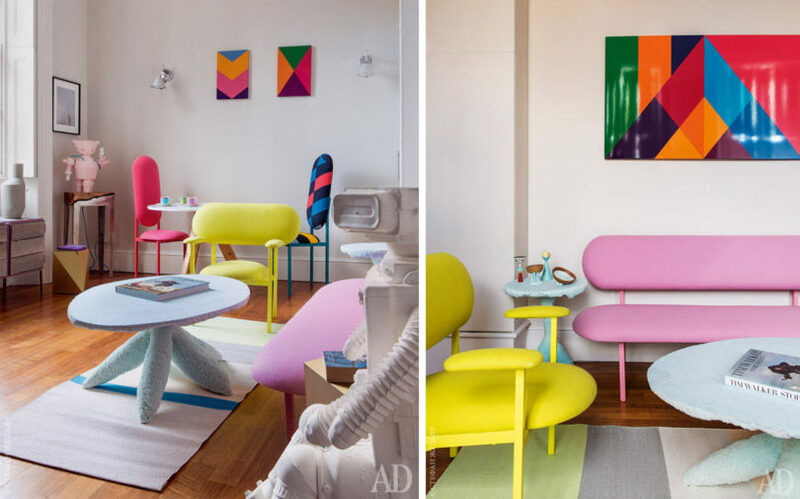 The Memphis group founder had a way of putting surprising colors and forms together to result in unexpected, yet clever designs. 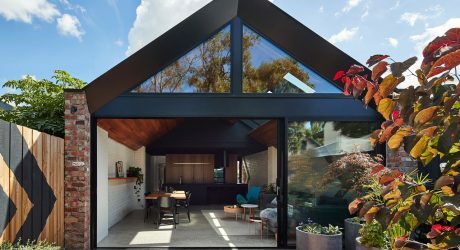 This Alexander mid-century modern home was turned over to Michelle Boudreau Design to breathe new life into it while updating it for modern times. 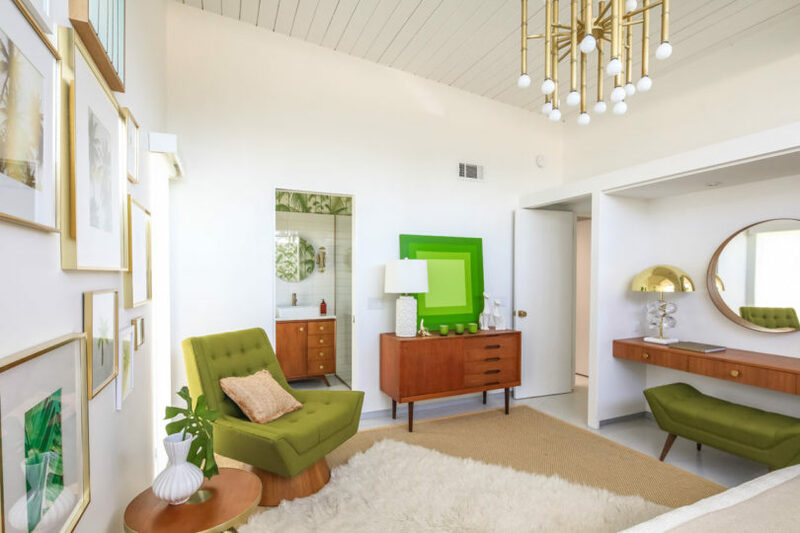 This bedroom was decked out with varying shades of green for a fresh, spring-inspired palette. 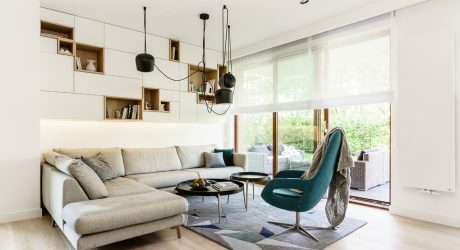 Montreal-born, London-based Marc Péridis designed this 25 square meter apartment with artwork by David David and bold pieces of furniture, including the coffee table with legs meant to look like cotton candy. 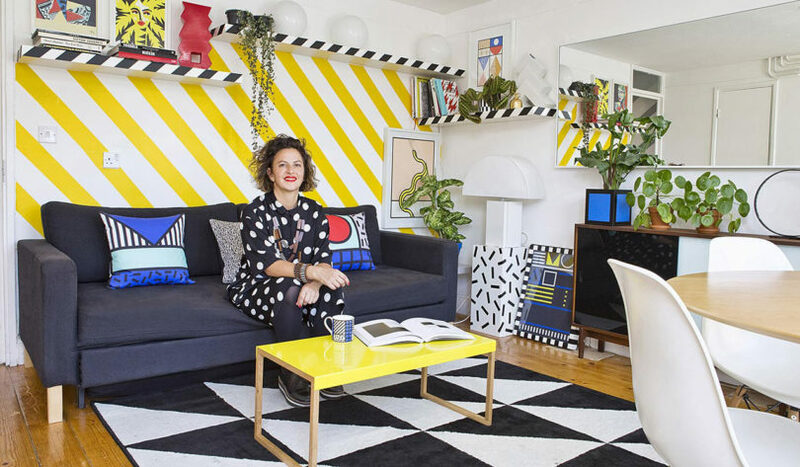 And lastly, artist Camille Walala’s own home is a colorful masterpiece, perfectly showcasing her signature patterns and style throughout. 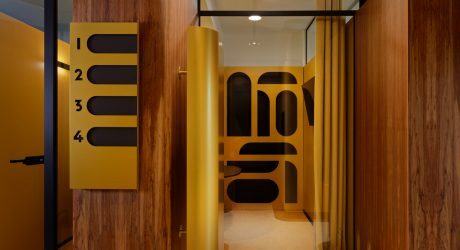 A diagonally striped yellow and white wall pairs with a black and white, geometric rug and yellow coffee table, all of which are intermixed with her own designs. 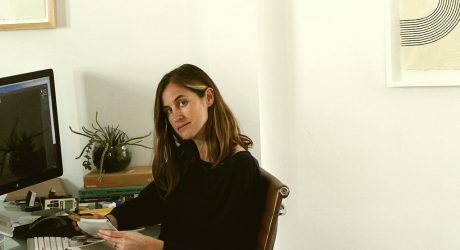 The multifaceted Lauren Rottet shares some of her favorite places around the world, as well as her love of art. 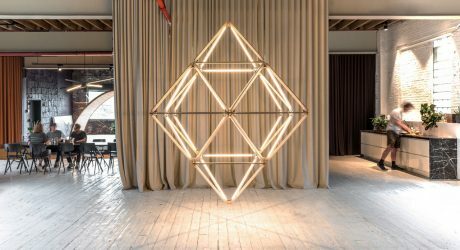 Stickbulb gets a new Long Island City showroom, studio, and production facility, all housed together in a former historic steel factory.